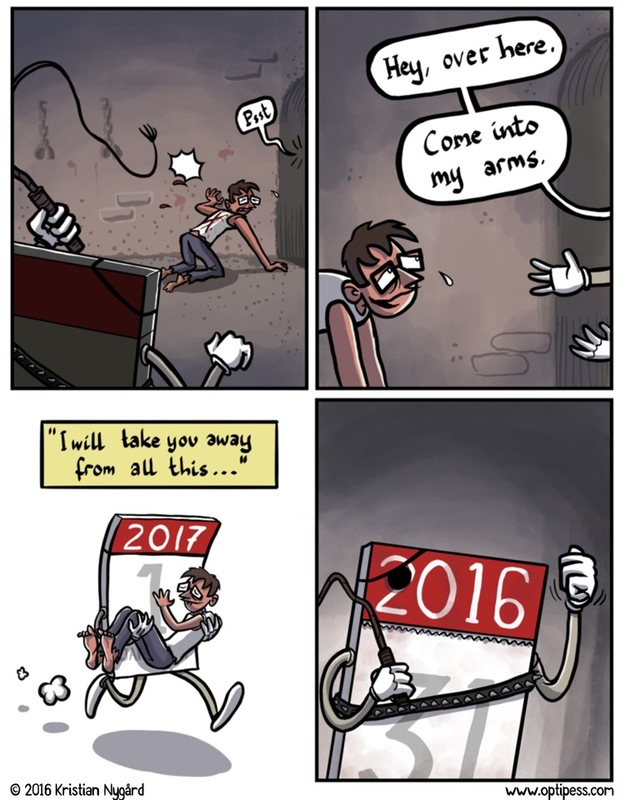 Goodbye, 2016! Or, actually, there are two whole days left. Please stay alive, dear reader! After Carrie Fisher and Debbie Reynolds I couldn’t bear to lose you too. :( In happier news, Optipess should return to the regular schedule late next week! Happy New Year, dear reader! I hope your celebrations were exactly as good as depicted above. This first 2016 comic arrives slightly belated, but the regular update schedule on Mondays and Fridays should resume from now on. And hey, thanks for reading! Happy new year! Hopefully your celebration went more smoothly than this.